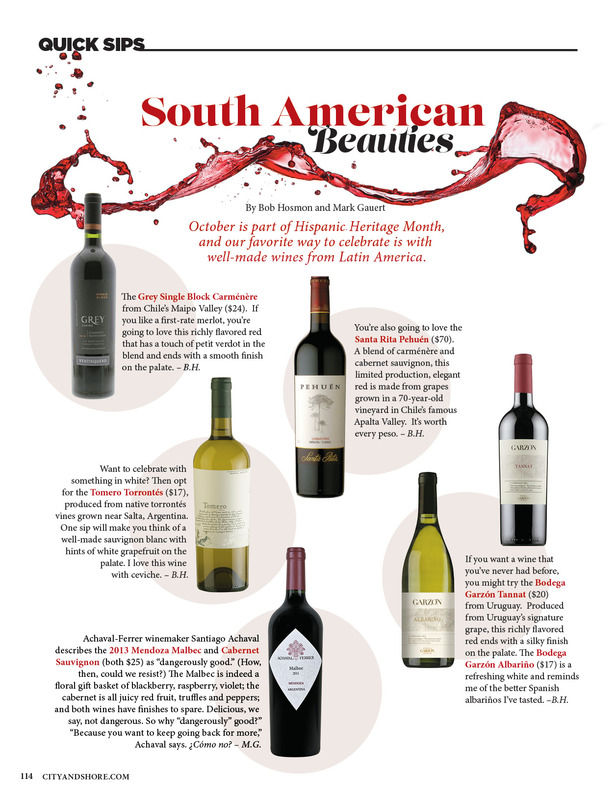 October is part of Hispanic Heritage Month, and our favorite way to celebrate is with well-made wines from Latin America. The Grey Single Block Carménère from Chile’s Maipo Valley ($24). If you like a first-rate merlot, you’re going to love this richly flavored red that has a touch of petit verdot in the blend and ends with a smooth finish on the palate. – B.H. 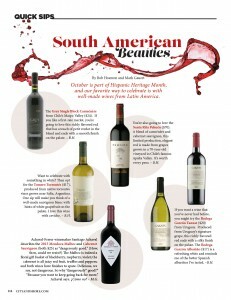 You’re also going to love the Santa Rita Pehuén ($70). A blend of carménère and cabernet sauvignon, this limited production, elegant red is made from grapes grown in a 70-year-old vineyard in Chile’s famous Apalta Valley. It’s worth every peso. – B.H. Want to celebrate with something in white? Then opt for the Tomero Torrontés ($17), produced from native torrontés vines grow near Salta, Argentina. One sip will make you think of a well-made sauvignon blanc with hints of white grapefruit on the palate. I love this wine with ceviche. – B.H. If you want a wine that you’ve never had before, you might try the Bodega Garzón Tannat ($20) from Uruguay. Produced from Uruguay’s signature grape, this richly flavored red ends with a silky finish on the palate. The Bodega Garzón Albariño ($17) is a refreshing white and reminds me of the better Spanish albariños I’ve tasted. –B.H. 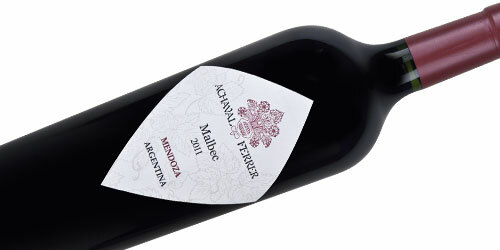 Achaval-Ferrer winemaker Santiago Achaval describes the 2013 Mendoza Malbec and Cabernet Sauvignon (both $25) as “dangerously good.” (How, then, can we resist?) The Malbec is indeed a floral gift basket of blackberry, raspberry, violet; the cabernet is all juicy red fruit, truffles and peppers; and both wines have finishes to spare. Delicious, not dangerous. So why “dangerously” good?” “Because you want to keep going back for more,” Achaval says. ¿Cómo no?- M.G.